Find lustrous fine quality pearl earrings in an incredible variety of designs at affordable prices. 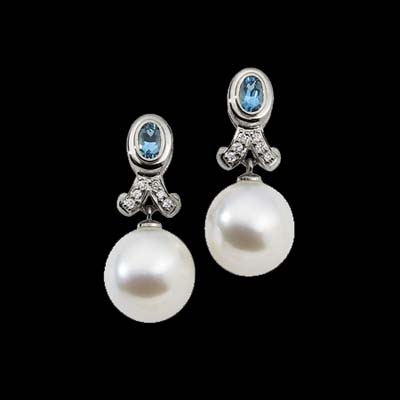 Our selections include cultured pearl earrings, pearl with gemstone earring styles, pearl and diamond earrings, south sea pearl earrings, and tahitian pearl earrings. 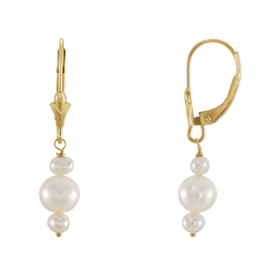 Freshwater pearl earrings are always an affordable choice. 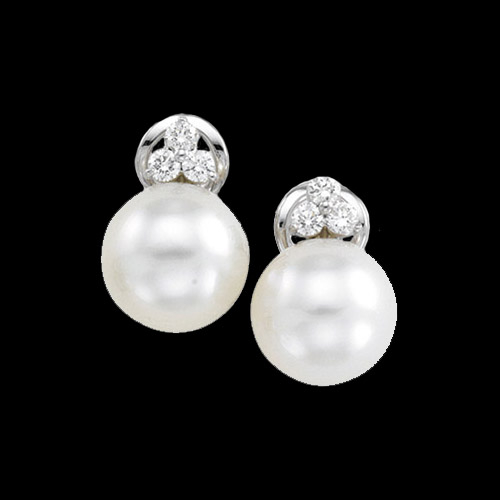 White gold pearl earrings are passing the trendy state and fast becoming a classic. Pearls are among the oldest gems known to man. Pearls were once a symbol of wealth and power. Always a great gift idea. Akoya Pearl and Diamond earrings. 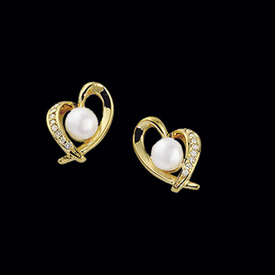 Beautiful 14k Yellow gold earrings are set with 7mm cultured white Akoya pearls and 1/6ct tw accent diamonds. Pearls are AA grade, earrings measure 20mm from top to bottom by 16.5mm across. Gorgeous Diamond and Tahitian pearl earrings. 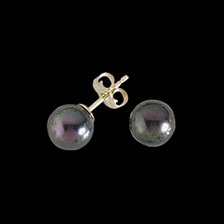 These incredible earrings are set with cultured round Tahitian pearls grey in color. Pearls measure 9mm round and diamonds total 5/8ct tw. Diamonds are I1 clarity H-I in color. Earrings are secured with an omega back. Black Pearl Earrings. 14k Gold posts with Cultured Black Pearls in a variety of sizes 4, 5, 6, 7, and 8mm sizes. Round half drilled AA quality black pearls are fresh water cultured. A Wonderful Gift Idea. 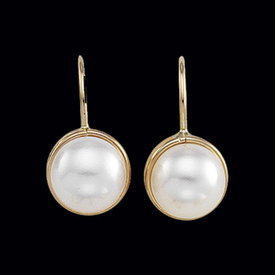 Lever Back pearl earrings. 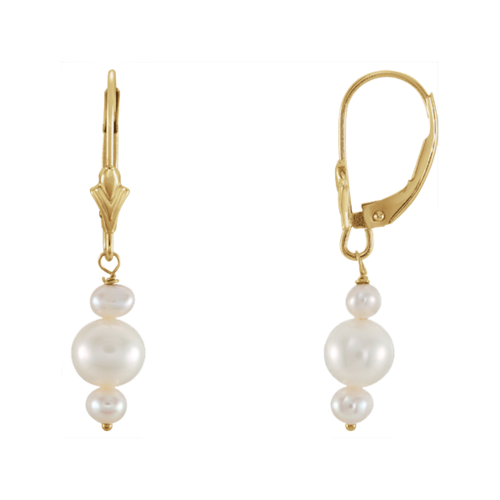 14k Yellow gold lever back design earrings are set with 7.5mm freshwater cultured white pearls. Black Pearl and Diamond earrings. Pretty 14k White gold floral design set with a 7mm round cultured black pearl AA quality. Diamonds total .08ct tw in these lovely earrings. Pretty 14k Yellow gold Akoya pearl and diamond lever back earrings. Cultured Akoya round pearls measure 6mm each and are AA quality. Each earring is set with an accent diamond 2.4mm round for an added sparkle. Delicious Chocolate Pearl earrings. 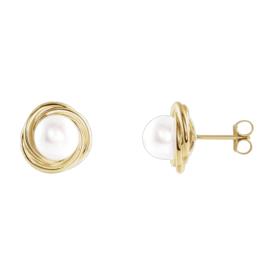 14k Yellow gold lever back design earrings are set with freshwater dyed Chocolate cultured pearls measuring 7-7.5mm in diameter. 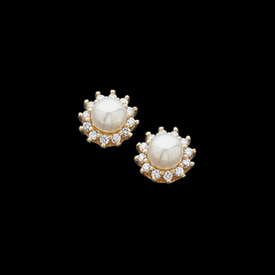 Very affordable fashionable pair of pearl earrings.